If you have never tried Irish Nachos you are missing out! My sister-in-law has been making them for years. Once we made them we were hooked. We love kid friendly appetizers like this! They make the perfect shareable lunch or light dinner. And honestly, the topping options are endless. My kids love them and think they are a special treat! 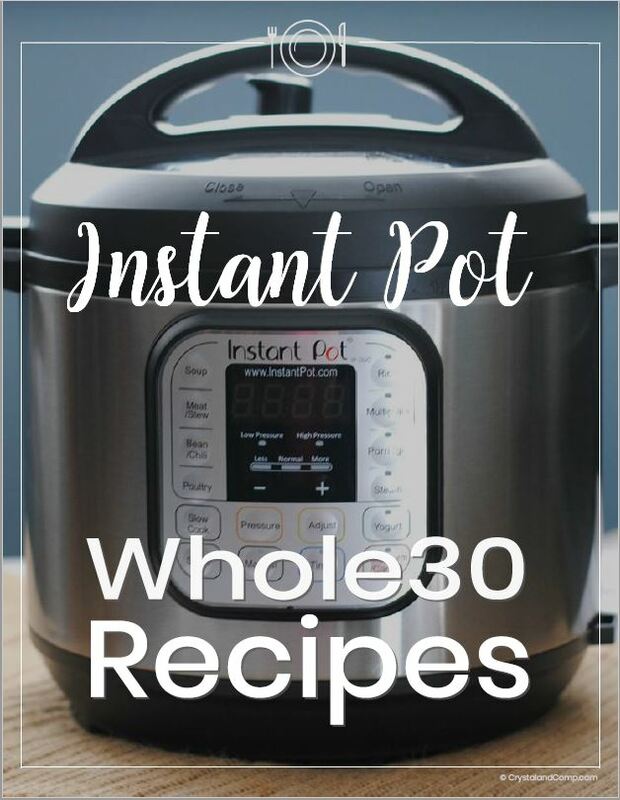 Let me show you just how easy they are to make. Slice potatoes in ¼ inch slices. A mandolin like this one makes slicing them super easy! Soak slices in a bowl of water for 30 minutes prior to cooking(this allows for the potatoes to crisp better). Once the potatoes are soaked, rinse them off and dry them on a paper towel to remove any moisture. Toss potatoes in olive oil and season with garlic salt and pepper. On a baking sheet, place a single layer of potatoes and bake for 20 minutes. 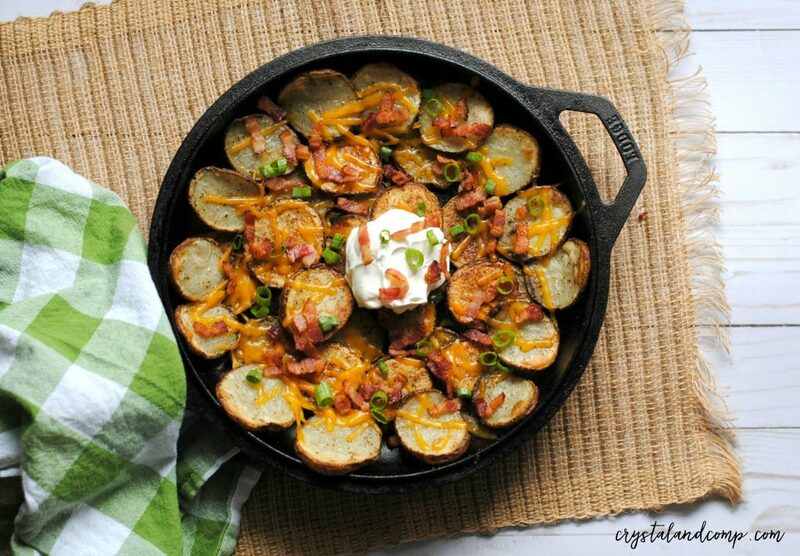 Flip all potato slices and bake another 20 minutes and cook bacon until it is crispy and set aside to cool. Arrange potatoes on a flat cast iron skillet, overlapping is okay. 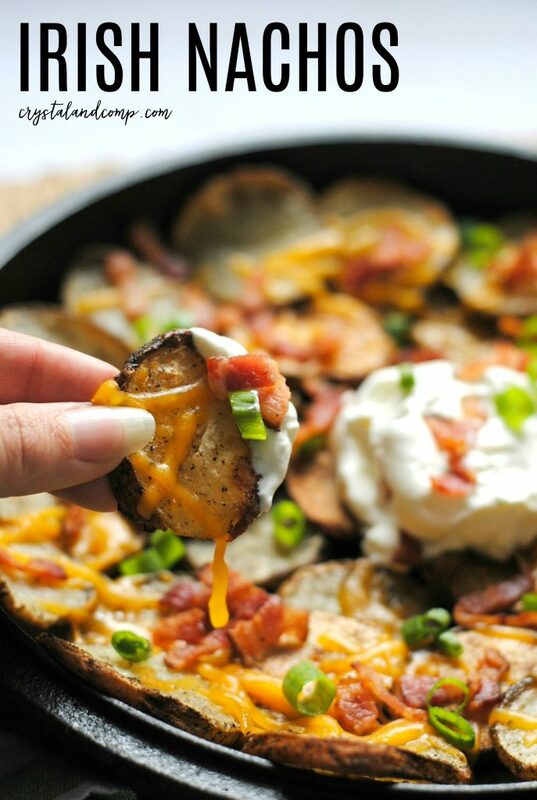 Sprinkle with cheese, bacon, sour cream, and any other toppings you make like. I suggest using a cast iron skillet like this one. There is something about these skillets that give the potatoes so much flavor while they are cooking. If you make these, let me know what your favorite topping ideas are. We love trying new things and we are always looking for new ideas. My sister-in-law has been making them for years. Once we made they we were hooked. They make the perfect shareable lunch or light dinner. We've made them for parties and events before too. They make the perfect appetizer. Danijela recently posted..How to make good coffee at home- with what you already have! This was so good! A new family favorite for sure! I made these last year after St Patrick’s Day and added some leftover corned beef…they were sooo good that we added them to our menu again for this year. You lost me at the cast iron skillet! Cook more or only for serving? I’m going to try it! Looks great! I frequent an Irish pub that makes them with corned beef instead of bacon. Yum!!! These are genius!! My family loves them! 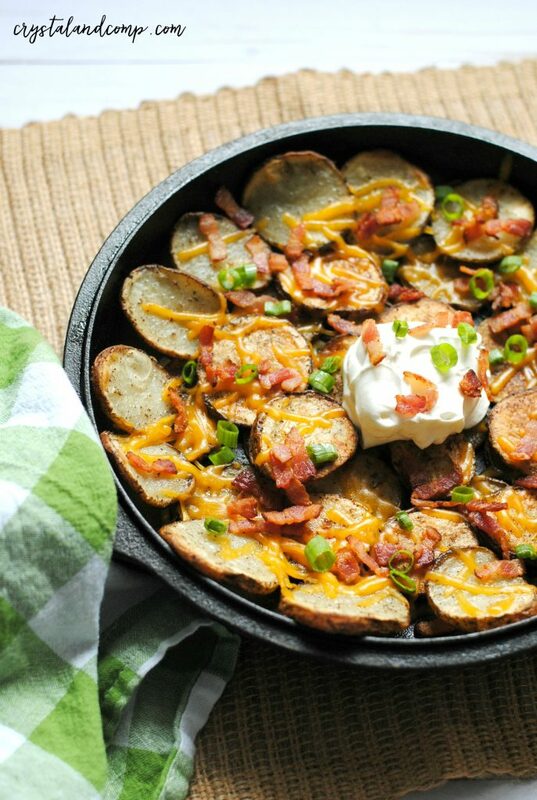 And the potatoes made this an easy and fast weeknight meal. WOW! My family loved these! They were amazing! Those look so delicious. have got to invest in a good cast iron skillet.